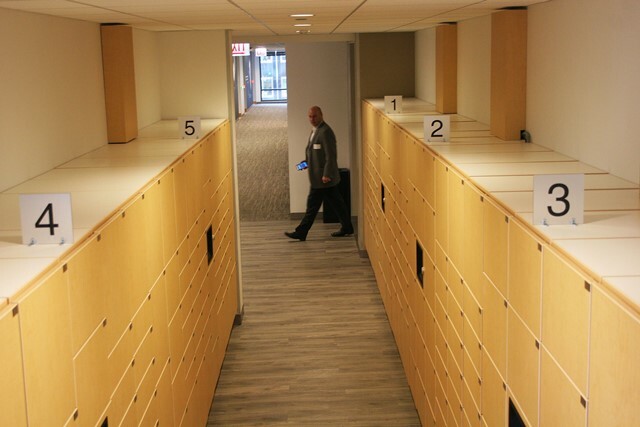 Corporate Self Service Lockers help commercial business users improve package and mail delivery accountability, establish an effective means to safeguard valuable packaged assets, and better meet regulatory compliance. When packages and mail are delivered, they are placed into the Corporate Self Service Lockers using an active directory interface. 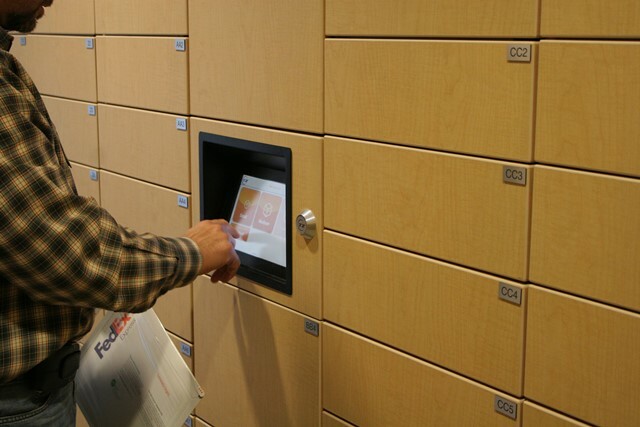 The lockers will automatically notify employees for secure pick up at their own convenience. The input of a designated password, PIN or a swipe of their employee badge will open the locker so the employee can retrieve their package. Electronic Locking: provides maximum security without keys. Features a simple, user-friendly LCD touch screen for convenient 24/7 access. E-Alerts: automatically notifies recipients by email or SMS that a package or mail is ready to be collected and sends reminders. Real-Time Auditing: tracks and reports activities and events as they happen. Offers tailored reports to monitor usage and system performance. Remote Management: offers real-time monitoring and reporting of events in geographically dispersed locations from one central command. Complete Versatility: meets your specific workflow requirements to complement your environment. Greater Scalability: to support system extensions and the addition of new features.